Back when I was on the executive board of the PTA at my son’s elementary school in Minnesota, I’ll never forget what someone said in regard to fundraisers, “We don’t pimp out our kids.” See, as a PTA, we were flooded with companies trying to get into our school to sell their products and host events. Our principal fully understood he was the gatekeeper of our school for these companies- something he didn’t take lightly. Our PTA knew that while money was important to support the school, we would never do so at a price that jeopardized our ethics, school mission and district policy. That’s why it’s such a shock to me to learn that my son’s school entered a contract with a company called Apex. Apex is a for profit company that takes almost 50% of what children earn in pledges. The National Education Policy Institute and Charity Navigator do not have a favorable view of this company. (NBC San Diego actually did a segment on the company which you can view here.) The company inoculates the school campus for 8-9 days selling its message direct to students under “character lessons” in which classroom time is interrupted. It is also at this time when Apex awarded prizes to children in front of their classmates for earning pledges. If I share from one student’s page, will my donors see all the students together with the same link? Will both students get credit? ANSWER: Yes! When you Add Students, all sharing is now as a family. Regardless of whose page is shared, donors will see a combined page with all students names and pictures, and each of your students will receive credit for those shares (for instance, if you share 10 emails on the Get Pledges tab, both students earn 10 shares and the share prize at school). The employees of Apex are given privilege to roam the campus and interact with children during lunch and recess daily prior to the actual race day –this includes a 3-hour pep rally during school to get everyone pumped up. As a community, it was not communicated with parents that the employees of this company would be interacting with our children daily -beyond the “character lessons” and the pep rally—at their lunch and recess too. There was no transparency in regard to the background of this company, how much a percentage they would be earning or the liberty they would have on campus. Since we reached out to the principal and shared our views on this company and how we didn’t feel comfortable with people from this for profit company interacting with our child, we asked if there was an opt out form. This made it especially difficult because the principal was allowing this to happen during school hours. Opting out meant that our child was isolated into another classroom for Apex’s daily interruptions. I was not alone in my concern. I later learned that many of our community members questioned why we were allowing this, who approved it and that “it felt really odd” for all these people to be roaming our school and interacting with the kids. I heard stories about how one child in a was crying because she didn’t get a prize. So, another little girl, showing empathy gave her the prize Apex awarded her with- and then she felt sad because she didn’t have a prize. Another person shared with me how their son came home begging them to pledge another five dollars. “Just five dollars more, Mommy. Remember, it’s not just for me, but for “X” because he’s in a wheelchair and will be able to play at our new playground.” That parent said what was really disturbing about that was that her first grader didn’t come up with that on his own- someone told him that. My own child shared with me how he returned back to the classroom and his friend came up to him with a cowboy hat Apex just awarded her, “My parents paid a lot of money so I could win this.” What exactly are the character lessons they are providing? How do we demonstrate that these for profit companies are fully compliant with district policies? Specifically, in regard to student privacy and safety. Does the district have a long term and short term data sharing policy with commercial entities? What is the framework for engaging these commercial entities and who governs this? Does the district have a policy that governs how this type of engagement should be broadly shared, in transparency, with the community? How do we ensure that students that elect not to participate in these activities don’t loose out on school time? 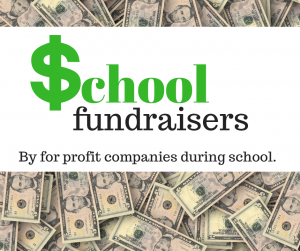 Why would a fundraiser like Apex happen on school time? How can we safeguard the social and emotional well being of all children involved? Character Education is rooted in Community, not Corporate agenda. We need to think very carefully about who we give access to our children and schools to.